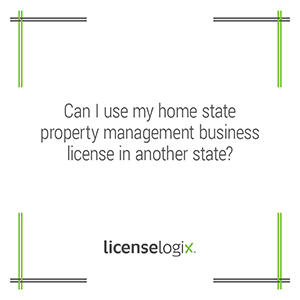 Can I use my home state business license in a different state? Answer: Every state is different when it comes to regulating the rental property management industry. Some states require real estate broker or salesperson licenses while others have specialized licenses for rental property management. Most licenses are not transferable from state to state, so you would need to obtain a new license for each state that you operate in. Idaho is one of the few states that does not require property managers to have a real estate license of any type. You may need a local business license or a state tax identification number. We can help you research and obtain any licenses you may need in Idaho. Contact us now to get started.